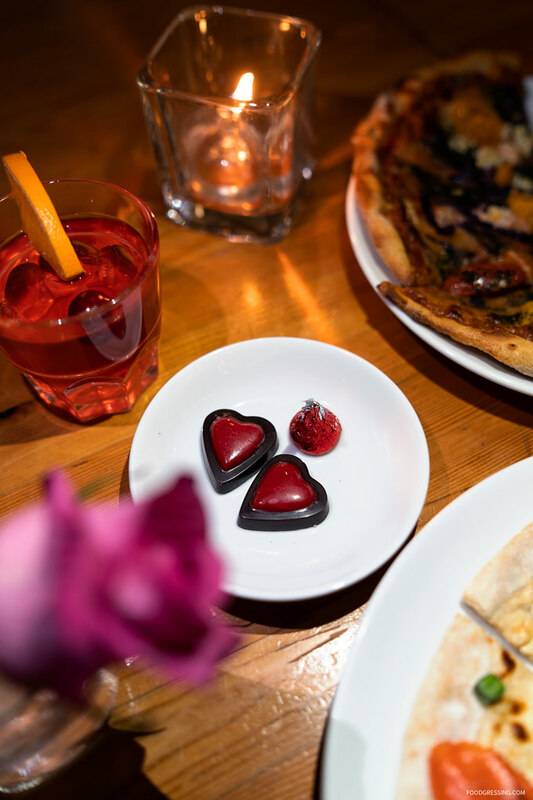 Rocky Mountain Flatbread’s Valentine’s Day menu presents a great way for families to be able to celebrate the day together. Everyone – including vegan, vegetarian and gluten-free diners – will have tons of choices on this nut free menu. 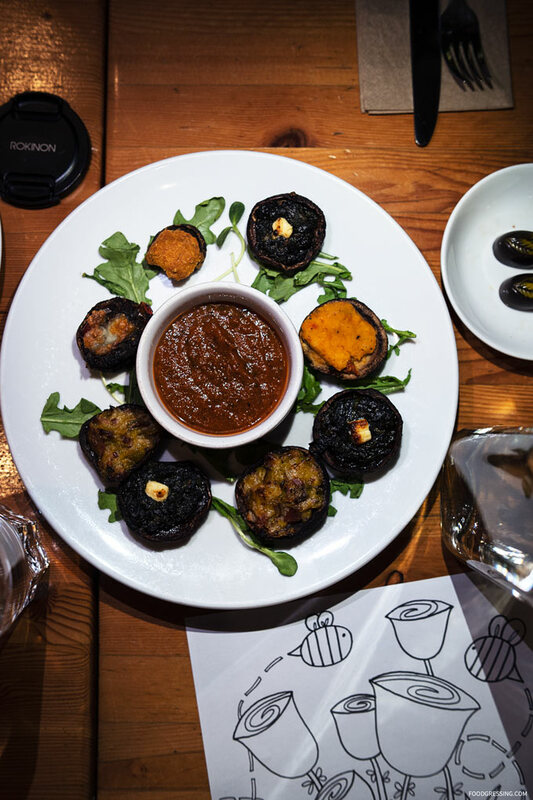 The menu has many healthy choices that are both nourishing, satisfying and great value. Furthermore, I always appreciate the friendly and caring staff at Rocky Mountain Flatbread who put lots of love into the food that is being offered. I recently attended a media preview of the Valentine’s Day menu. Here’s a look at what you can expect. Disclosure: I attended a media event where all food and drinks were complimentary. 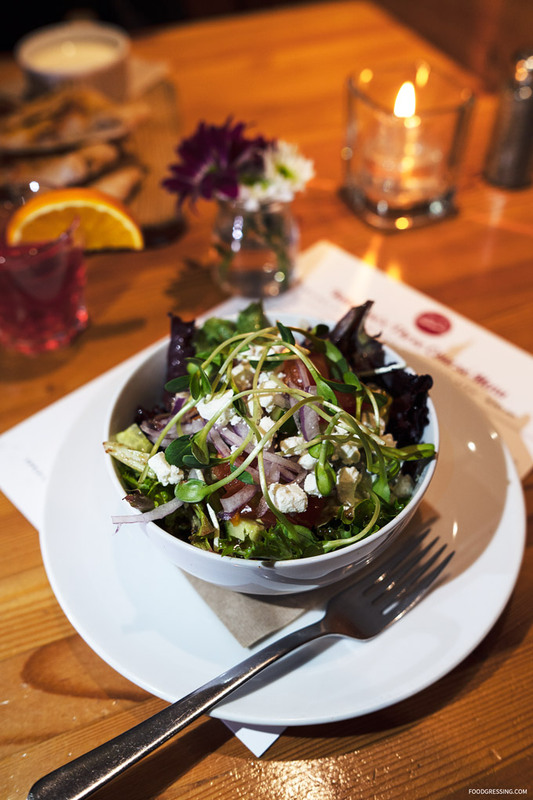 To start, choose from a traditional salad (fig & goat cheese, basil & blackberry, or fresh herb salad), BC mushroom caps, or house-made soup. 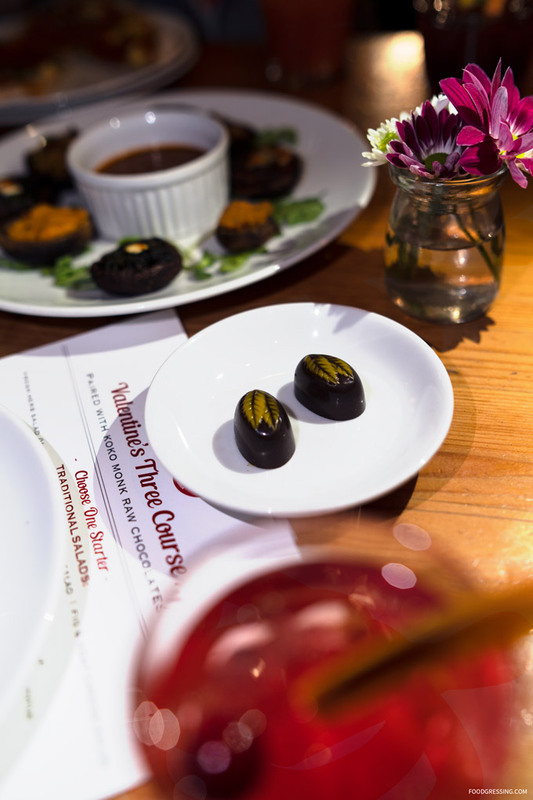 The chocolate pairing is the Brunette Bangle (a curry and coconut infused chocolate). 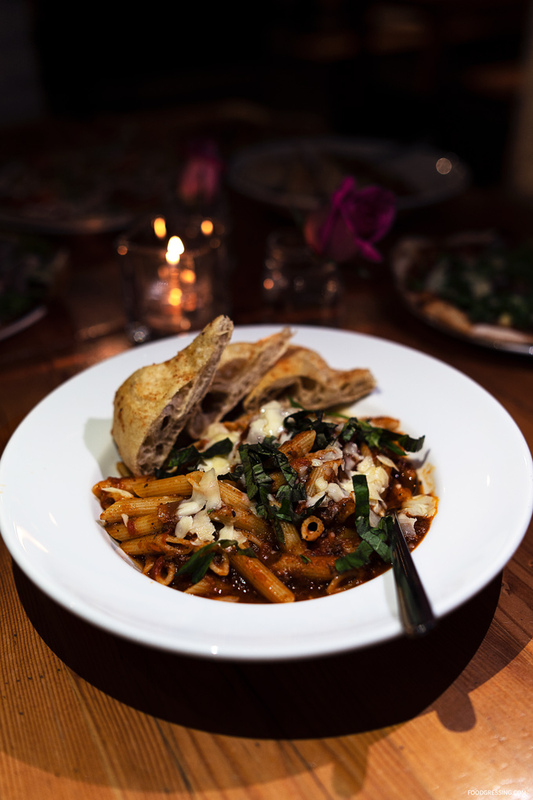 Next, enjoy any hand-crafted Traditional Flatbread pizza or featured organic pasta made with seasonal veggies and local meats. Paired with First Kiss (a sour cherry and raspberry infused chocolate). 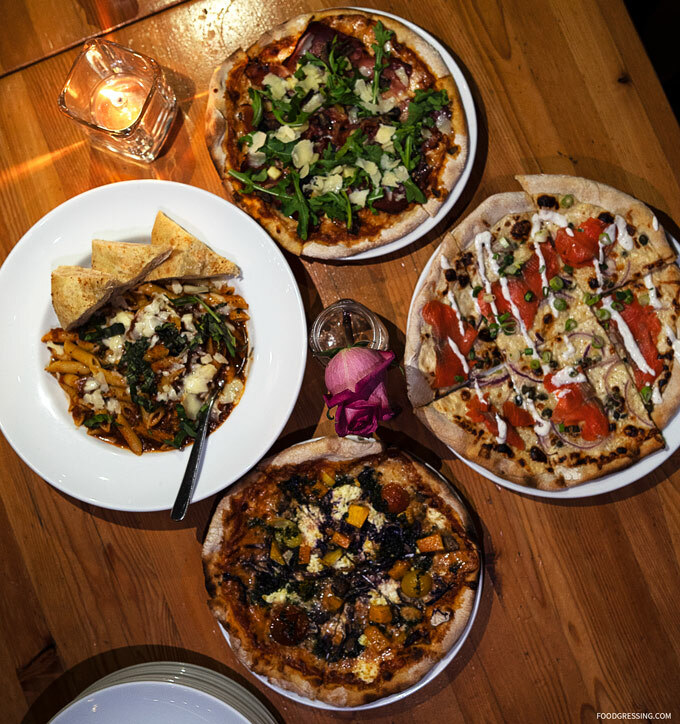 Finish off your celebration with your choice of the signature Rocky Mountain Flatbread Warm Double Chocolate Brownie, Apple Cinnamon Crumble (vegan) or Baked Cheesecake with Gluten-Free Toasted Coconut Crust. 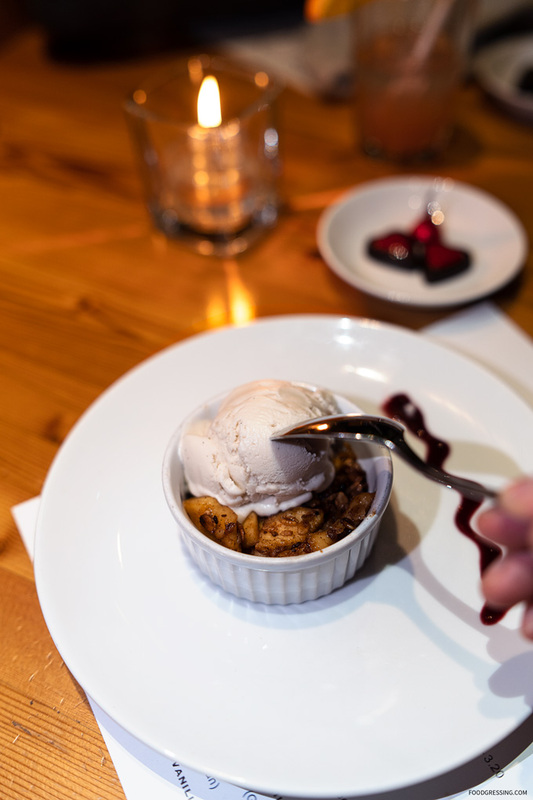 Desserts: Warm Double Chocolate Brownie with House Made Ice Cream or One Scoop of Vanilla or Chocolate Ice Cream. 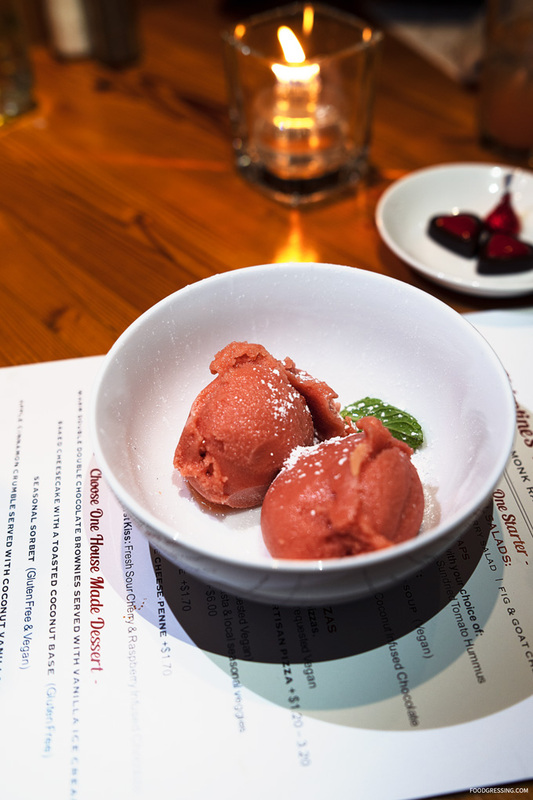 My ideal 3-course dinner would be Fig & Goat Cheese salad, the feature pasta (Penne in Curry Sauce) or the Ocean Wise West Coast pizza, and feature dessert (Mango Raspberry Sorbet). 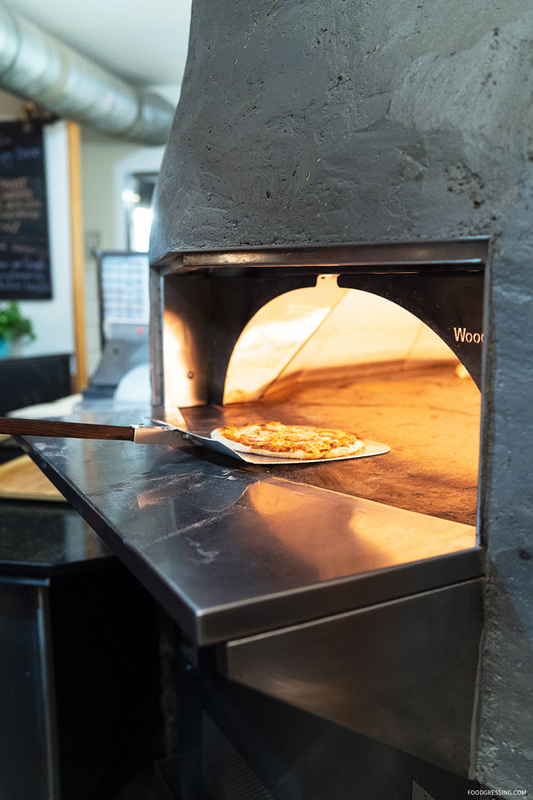 For reservations, call Rocky Mountain Flatbread Main Street at 604-566-9779, Rocky Mountain Flatbread Kitsilano at 604-730-0321 or email info@rockymountainflatbread.ca.